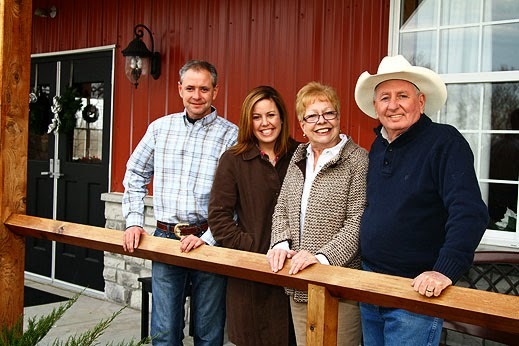 Faulkner's Ranch: An Exciting Announcement! We are excited to announce that we have a brand new Company Picnic package available this year! We checked in with Cowgirl Christine to catch the latest on this fun new choice. Why did you decide to do a new package this year? Each year we like to develop a new themed picnic package. Many of our picnic clients are repeats so by changing the theme each year gives their guests something new to look forward too. Each themed package includes food and activities relevant to that theme. For example, the Wild Western picnic package includes delicious BBQ, the mechanical bull, and a mini rodeo at the end that includes our roller roper, cow milking contest, and ranch Frisbee throw! Our Wild Western Picnic clients like to take the theme and run with it. It's fun to see them encouraging everyone to dress Western for a "Best Dressed" contest or hire a photographer and provide hats, bandannas, mustaches, and other props for fun party pics. We are really excited about this year's new theme, The Country Fair, which is based off of the traditional county fair. Where did you get your inspiration for this year’s theme? We drew tons of inspiration for this new package on Pinterest! One neat idea that we will be doing is hanging pennants on the bandstand for decor. We will also be encouraging companies to bring their own pennants and banners to hang. What can guests expect with the Country Fair Package? In this package the first hour is spent playing our Midway games with carnival prizes included and enjoying cotton candy, popcorn, and either a fresh squeezed lemonade or root beer float at the adorable stand. The Ranch J in this package not only plays music but acts as a "barker" during the Midway games, straw hat and all! The Country Fair picnic package includes 5 ranch style midway games, but we offer even more on our Ranch Specialties and Extras page. Guest should come hungry! What is on the menu? Food is a HUGE part of any county fair! That is why we chose to serve cotton candy and popcorn right from the start. The buffet includes our delicious pulled pork slider sandwiches, nachos, corn on the cobb, and seasonal fruit cobbler with a scoop of vanilla ice cream. We have a long list of additional menu choices to consider adding. 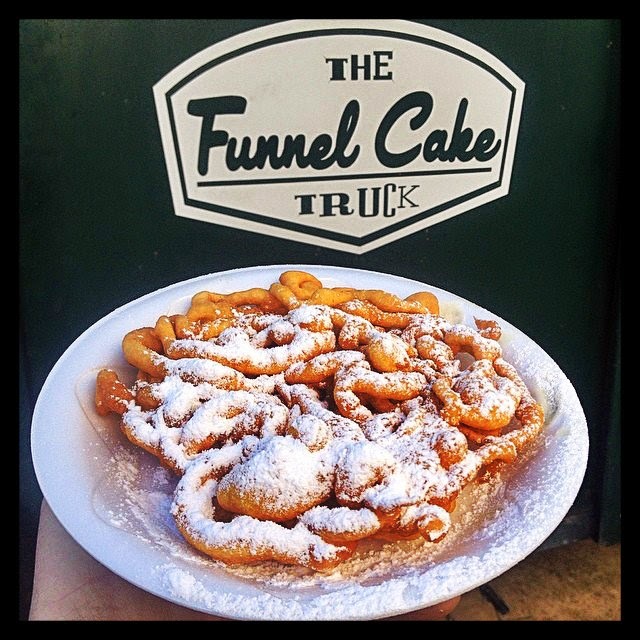 One really exciting addition is our new partnership with the Funnel Cake Truck (listed under FUN Food Additions). How fun is that to have the funnel cake truck pull up to your company picnic? We just know that our guests are going to love it! What other fun activities can guests look forward to? Of course we included our friendly petting farm animals, adorable pony rides, and moonwalk into the package. We also decided to include the pedal karts. We love the pedal karts because the seats are adjustable so they are fun for adults too! In fact in the third hour of the picnic, those pedal karts will be used for our mini tractor pull! Yes, the racers will choose a volunteer to be pulled in a little red wagon behind the pedal kart. The first one to the finish line wins. Speaking of winners - everyone loves to win at a cake walk, right?! Well, we have included a cupcake walk into the package! We can't forget about the Pie Eating Contest too. The Country Fair package guarantees that guests will have a great time from start to finish! For more information on our how EASY it is to plan a Company Picnic at Faulkner's Ranch, click here. For more details on our four exclusive Company Picnic Packages, click here.